We saw how a compelling purpose is necessary to get community contributions started. Sustaining a community requires more than than. It requires transparency, so content contributed by individuals is visible to the whole community. That is so individuals can provide feedback on contributions. And judgement can appear. Individuals enjoy autonomy from the anyone, anytime, anywhere nature of the medium. Autonomy applies not only to content created and contributed, also to feedback given. 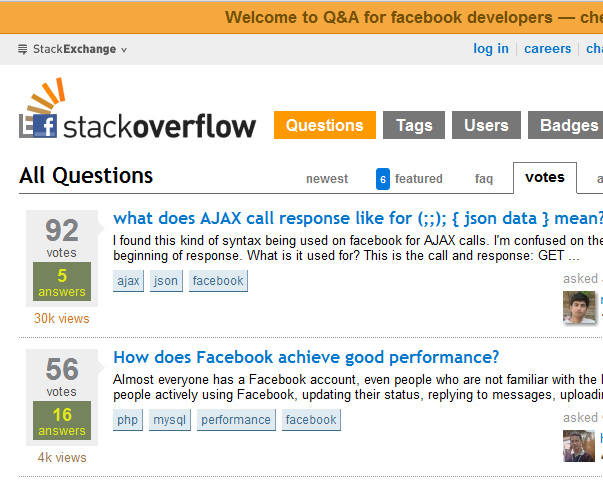 Stackoverflow.com is a great example. It is forums for software developers where anyone can ask a question and get answers. Anytime anyone has a question, it is likely that someone somewhere else has had the question before. This is the premise on which the portal lends itself to a powerful purpose. You can search questions and get answers. You can post questions and answers.The community members rate both questions and answers on how useful they proved to others.